DR Ahmad Farouk Musa, cardiothoracic surgeon and academic, is also founder and chairperson of the Islamic Renaissance Front (IRF). With the many Islamic groups already flooding the Malaysian landscape, do we need more Islamic organisations? Ahmad Farouk tells The Nut Graph what sets IRF apart, in this exclusive interview on 5 Apr 2010 at the IRF office in Kuala Lumpur. TNG: Tell us a little bit about IRF. When was it registered? What led to its formation? Dr Ahmad Farouk Musa: IRF was registered in October 2007, under the Registrar of Companies. We managed to get a like-minded individual, Prof Tariq Ramadan, to launch IRF on 12 Dec 2009. The launch was followed by a talk on Muhammad Asad the following day. He is an important figure in the movement for reform (islah) and renewal (tajdid) in Islam, and his ideas remain relevant. His Message of the Quran is the most contemporary tafsir (commentary). In fact, we are now trying to get permission from the Home Ministry to reprint this translation, complete with an index, because previous editions did not include an index. They have approved the Arabic text, but there is this requirement now where the translation needs to be checked by Jakim (Department of Islamic Development Malaysia). So we are still waiting for their approval. You see, in Asad’s translation, he tries to explain that the Quran is not time-bound but timeless. Therefore, it must suit different generations, and therefore it lays down certain universal principles. For example, the verses on usury (riba) — these were revealed later on. Thus, the advantage was that people were able to have a specific context for examples of usury during their time. The universal principle is that the wealthy should not inflict their power to disadvantage the poor. There are, however, different forms of this injustice that have happened throughout the ages. So, just because we give Arabic terms to certain financial instruments, does that necessarily mean we have got rid of riba? You were a founding member of the Muslim Professionals Forum (MPF). Why then did you move away and establish IRF? There were issues in MPF. For example, there were stands on important issues that were taken without having thorough discussion among the membership. I felt that each and every member should have a right to voice their opinions before we took any public stand. For example, there was the time that MPF decided to join with Pembela (Muslim Organisations in Defence of Islam)’s position regarding the Lina Joy [conversion] issue — this was not properly discussed beforehand. Even after that, Pembela leaders have continued to speak: for example, the demands that they made on behalf of the coalition before the 2008 general election. This was done unilaterally — I’m not aware of any deeper consultation that happened [with the other coalition members]. And their demands have major implications for civil society. For me, the question of freedom of expression and religion are very clear in the Quran. Surah Al Baqarah tells us there is no compulsion in religion. This applies whether someone wants to embrace or leave the faith. The freedom must be reciprocal. And if we follow the traditions of Prophet Muhammad, he left those who left the faith in peace. He only acted against those who left the faith and then embarked on sedition and treason. And you felt you could explore these issues better through IRF? Yes, and I believe that IRF can contribute not only to civil society but can also reinvigorate intellectual dynamism in Muslim societies. We do not want to be bound by thoughts and traditions inherited from our [previous generations], or ideas embedded in the kitab kuning (traditional Islamic instructional commentaries, in Arabic). For example, when people talk about the Islamic state in Malaysia now, they are referring to a text written by Al Mawardi a thousand years ago. Even the government’s pamphlet on the Islamic state in Malaysia refers to Al Mawardi’s Al Ahkam Al Sultaniyah. But what we’re facing now [in Malaysia] is much more complex compared to what Al Mawardi faced in his time. The Quran has actually been silent on the issue of the Islamic state. The Quran asks us to create a just society, in which the principles of Islam are upheld — to promote justice and ihsan (benevolence), and to oppose zulum (injustice). On your aim to revitalise the intellectual dynamism of Muslims in Malaysia — what exactly are the areas you think need revitalising? I think one of the main areas is the understanding of the Quran itself. Many people tend to understand it literally, and don’t relate it to contemporary conditions. But it is a timeless text and cannot be read as if it were a codified seventh century text. If we only have a literal understanding of it, then many issues cannot be solved. For example, the verse on hijab (Muslim women’s head covering). The aim of hijab is to promote modesty — it’s not really about a strict form of hijab. So the problem with many Muslims now is that we cannot differentiate between principles and models. When we talk about an Islamic state, we immediately look at the form that seventh century Medina took as an “Islamic state”. But we do not ask ourselves what were the underlying principles in the governing of Medinan society. There is a need for reform and renewal. So, in IRF, while we want to go back and study the central texts of Islam, we believe that these texts must be read appropriately. How would you respond to those who say that you have no religious authority to do this? We respect the knowledge of the ulama in preserving the knowledge of Islam, and understandings of the Quran, sunnah, tafsir, hadith, and other branches of Islamic knowledge. But then, the verses on hukum (laws) are just a small fraction of the Quran. What relates to muamalat (relations among humans) is actually covered more than ibadat (relations between humans and Allah). And so the realm of muamalat is very wide. Therefore, we do not require the expertise of only textual ulama; we also require contextual ulama, be they engineers, or economists, or architects, or human rights activists. How does IRF plan to contribute to [a society where every single citizen can voice his or her opinions to shape it]? This is where IRF will stand out among other Muslim NGOs. We uphold freedom of expression. You cannot silence other people by lodging police reports [because they disagree with you]. You must allow differences of opinion. For example, on the syariah caning of the three Muslim women — what were they trying to achieve with that punishment? If you look at the objective of Islamic laws, such as hudud, it’s to prevent people from committing evil (munkar). That’s why the verses on the implementation of these punishments were revealed later [during the Medinan period of Quranic revelation]. Because, before such laws are implemented, we must have a just society. The poor must be protected and not have any need to steal to feed themselves. If we cannot establish these pre-conditions, why should we establish the Islamic punishments [prematurely]? Do you think, though, that there is now a polarisation of Muslim NGOs? For example, it looks as though Sisters in Islam and IRF are in one corner, and all the other Muslim NGOs in the opposite corner. Looking at the current situation, I think this polarisation is still in the making. But we at IRF are trying to build bridges. We are trying to get other Islamic movements and organisations to understand our case. And so we see the method used by some groups to label their opponents as “liberal” and so on as unproductive. That is really what will hasten the polarisation you talk about. Have you been labelled “liberal” as a way of discrediting your work? There have been voices within some of the Islamic groups that say we are “liberal”, even though we are from an Islamist background. I think it’s an attempt to dissuade people from joining us. In your opinion, who, other than IRF, is an example of someone or a group that promotes civil dialogue and analysis from an Islamic perspective? Can you tell us why you say this? 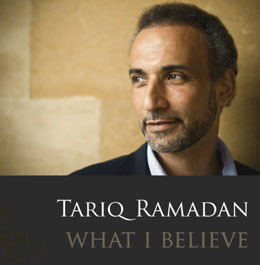 I think a vibrant equivalent of a modern Martin Luther for Muslims is Tariq Ramadan. He has done a lot to bridge the gap between the West and Muslims. He has done a lot to promote the reinterpretation of syariah and Islamic laws, most notably his call for a moratorium on the application of hudud laws. Also, we in contemporary times seem to be forgetting great scholars such as Sheikh Muhammad Abduh. I’m not trying to magnify this, but the fact is, if you look at several contemporary Islamic movements such as the Jamaat-e-Islami (in South Asia), Muhammadiyah (in Indonesia), Ikhwanul Muslimin (in Egypt), and PAS, they were all inspired by Abduh’s thought. One of the main agendas of IRF is to make people understand the contributions of Abduh and (his student) Rashid Rida. Not just in looking back into the traditions of interpreting the Quran and sunnah (traditions of Muhammad), but also in fighting for current modern agendas, such as feminism.